What’s the easiest way to get started with the smart home experience? Buy a few important smart appliances and use them regularly. Our list includes products under $500 so you can get started on a budget. Note that the prices we list are current as of late 2017. Improved security, saving money on your heating bill and devices that follow voice commands all made the list. Amazon is no longer just a retailer: they’re becoming a major player in the technology field. The Echo has two key features: a voice activated assistant and access to a large store of apps. The voice assistant lets you control other devices in your home with a voice command. The device supports banking apps, entertainment and other uses. Oh, it’s also a speaker, so you can play music as well. Hands free Calls: Take to a call when you’re in the kitchen? You use Ooma with the Echo Connect to receive and make hands free calls. No more getting jam or worse on your handset! The Philips Hue smart lights are PC Mag’s Editor’s Choice in the smart lights category. At Ooma, we’re a big fan of them too! Keep in mind that you will need a hub to control Philips Hue White lights. For the best results, we suggest installing multiple smart lights throughout your home (e.g. living room, dining room and entrance). Why? With the Philips app, you can control lights remotely using a smartphone app. It’s more useful (and fun!) to control multiple lights. If you have a little bit of extra room in your budget for lights, you have other options. Philips also has multi-colored lights. With a multi-color smart light, you can program the lights to flash different colors based on your suggestions. For example, flash green when your spouse or parents call. Tip: For additional insights on how you can control your smart lights with Ooma, read Ooma and IFTTT Smart Home Recipes. Air conditioning to get through summer and heat to survive the winter — fine tuning your home to a comfortable temperature is tough. Using a smart thermostat makes the process easier. Compared to traditional devices, you don’t have to be home to control it. Instead of walking into a frozen home, you can turn up the heat before you leave the office for your commute home. For added convenience, the Nest device integrates with Google Home and Amazon’s Echo (simply use Alexa voice activated assistant). Tip: Make sure you check out the auto-schedule feature, which allows Nest to create a schedule based on your preferences. At first, you might consider the Telo as a VoIP (Internet phone) device. That’s just one part of what it can do for you. The Telo also integrates with other smart home devices. For example, you can connect the Telo to your Nest thermostat. That way, your Telo can phone you when certain situations are triggered, like a smoke alarm. Smart appliances also keep you safe at home. Traditional alarms are dumb: they can’t tell the difference between a chipmunk and a true intruder. Ooma Home Security uses motion sensors to detect problems. When you are away from home, Ooma can call you to let you know there’s a trespasser AND get 911 help sent over directly to your home address. That’s convenience. Tip: Buying a few smart appliances is just the beginning. For the best results and least hassle, choose smart appliances that work well together. 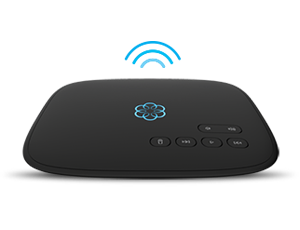 For example, Ooma Telo connects with the Amazon Echo. Instead of manually checking both devices, they work together seamlessly. 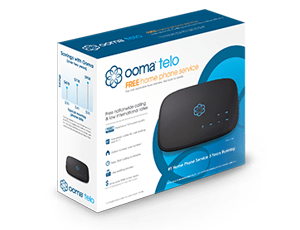 For example, ask the Echo to make a call and it will place the call seamlessly using your Ooma Telo! Ever had the experience of searching for your keys in the morning? On a rushed morning, those frantic few minutes of searching make the difference between arriving at the office on time and sneaking in late. Use the Tile Mate device and this problem could be behind you forever. The “Pro” series of Tile devices have a range up to 200 feet. Though these are marketed as keychains, you can also attach these “key finders” to other commonly misplaced items like your gym bag or dog leash. Constantly monitoring home security footage is fun for a day or two, but eventually it gets old. With the Butterfleye camera and Ooma Home Security, you don’t need to monitor everything yourself. Equipped with full HD video, the camera uses built-in thermal, sound, and motion sensors to detect real problems and avoid disturbing you with less false alarms. What happens if the camera detects an intruder breaking in? Moments later, you’re connected with emergency services to get the help you need. You also have the option to speak and listen through the camera to an unrecognized person. That comes in handy when a delivery arrives while you’re at work. Tip: To get the most value from the Butterfleye Camera, combine it with the Ooma Home Security service. Which smart appliance are you most interested in?